Drummer Donald Robinson will be playing on Thursday, April 2, in a duo with saxophonist Marco Eneidi at the Luggage Store Gallery (998 Market St., San Francisco). In purely physical terms, this sax/drums duo is a stripped-down version of Larry Ochs‘ Sax and Drumming Core, a trio that included Scott Amendola as a second drummer. But there’s a special element to a duo. It becomes a straight dialogue, a two-way interview, and when the players have known each other as long as Ochs and Donald Robinson have, you end up sitting in on an enlightened conversation. Ochs is well known for the ROVA Saxophone Quartet, not to mention his solo work. Robinson, a fixture of the Bay Area scene, is a free-jazz drummer well steeped in the sound of the ’60s, and he deserves a lot more recognition for his work. His sound is characterized by a deliciously light touch — tight, delicate rolls on the snare and small but effective touches on the toms. It’s a subtle approach that can build to a blistering attack when the moment warrants. A great example is “Red Tail,” which opens with a Robinson blast and a fast groove, Ochs providing a floating, warbly statement on the sax. “Breakout,” starts with a funky, catchy snap and builds into a frenzied attack. 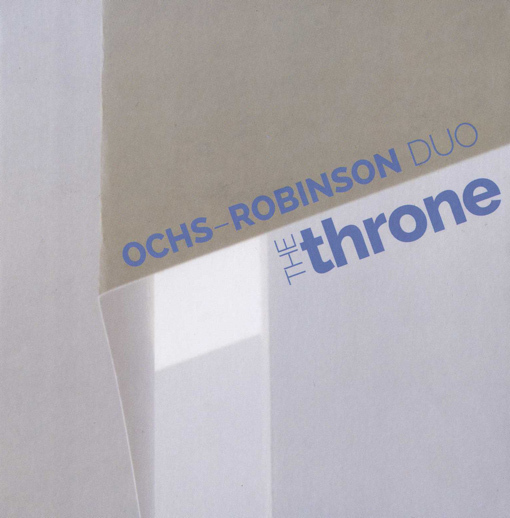 “The Throne” is another high-energy track, opening with Ochs ping-ponging some riffs, digging deep while Robinson frames the choppy melody. Much of the album is characterized by Ochs’ tart and aggressive sound on tenor sax and some sopranino. On the quieter side, “Failure” has a very calm, processional feel — an elegant exercise in restraint — while “Song 2” has a touch of Mississippi blues in its casually sparse step. “Open to the Light” is worth a special mention, as it’s dedicated to Glenn Spearman, the late tenor saxophonist who helped drive the Bay Area scene in the ’90s. Ochs and Robinson both played in Spearman’s Double Trio, and Spearman and Robinson were a duo themselves back in the day. “Open to the Light” is brisk and hopeful, an uplifting nod to a kindred spirit, with a touch of the kind of soaring, heavy tumult that Spearman was so good at building. Robinson will be playing in a duo format with Marco Eneidi, a close friend of Spearman’s, on April 2 in San Francisco, as noted above. Robinson and Eneidi have played together quite often, including in a session called Straight Lines Skewed — which is, to my knowledge, the only album that has Robinson listed as the leader. It’s a trio session with Lisle Ellis on bass, an improvised jazz session that reveres silence as much as energy. Worth seeking out; Downtown Music Gallery seems to still have copies, as does Klompfoot (the former Cadence Jazz store). It’s easy to categorize Hypercolor as a prog power trio, one with metal leanings in the blistering guitar. But drummer Lukas Ligeti (yes, the classical percussionist; all of these guys have roots in jazz/classical) describes the band’s style as something looser. It’s about “learning complex arrangements and playing them back completely wrong,” he states in the press flier. The music still has a proggy feel and a sense of structure; this isn’t the kind of free-form quasi-rock you’ll find on Mirakle, the Tzadik album that pitted Derek Bailey’s alien syntax with the grooves of Jamaaladeen Tacuma and Calvin Weston. But as Ligeti promises, Hypercolor breaks from the prog mold by foregoing pinpoint complexity for jamming and discovery. The structures aren’t hidden. You can hear the bluesy roots in “Transit” and the pop-song flow behind “Chen,” at least before Eyal Maoz‘s guitar shifts into noisy hyperdrive. The relatively mellow “Ernesto, Do You Have a Cotton Box?” works from something resembling a country/roots framework, chopped up into incorrect measures and backed by Ligeti’s indifferent torrent of snare and hi-hat; it has the sound of a song falling apart. “Palace” even opens in an outright punk/rockabilly spasm. Fun! Hypercolor, the album, has its quiet side too. “Forget” is a pretty tune, although it bursts into an anthemic, thundering solo, and “Quixotic” is a slice of jazz introspection, liquidy and patient. This is an album with a lot of facets and some blurred boundaries. 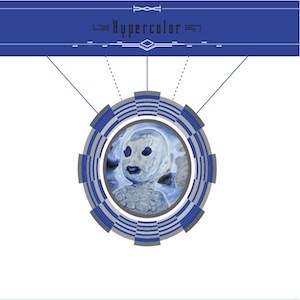 Hypercolor, the band, has many more facets than just ear-splitting rock — but the ear-splitting is a lot of fun on its own. If you’re in NYC, catch Hypercolor at The Stone on April 3, part of Lukas Ligeti’s week-long residency. A side-effect of this blog’s longevity is the way it reflects changes in my personal life. As the kids have gotten older, and their activities (school and otherwise) have become more serious, it’s left me with less time for music. My radio gig was the first thing to go, and lately, I’ve cut down on listening to music and, especially, going out to shows. This is a normal aspect of online life, one that people are discovering slowly as we all get older. I’m thinking in particular of Real Life Comics, which began posting daily at the end of 1999 but had to slow down as the artist’s real real life got more complicated (and that was before he and his wife had a kid.) He still manages to soldier on, and so will I. The combination of vibraphone and sax gives XYQuartet an airy feel, tracing geometric lines with a modern shade of swing. That’s the idea, of course; the name represents the axes of classical and jazz. It also brings to mind the cross-currents of Nicola Fazzini’s saxophone and Saverio Tasca’s vibes, representing the lead voices (although it’s Fazzini and bass guitarist Alessandro Fedrigo who founded the band). It’s an enjoyable set of cleanly modern tunes, mostly upbeat. You’ll hear touches of minimalism and the complexity of serialism, but on most tracks, there’s always somebody — often, drummer Luca Colussi — infusing some healthy jazz abandon into the music. A good example is “Spazio Angusto,” with its stark 11/8 briff backed by light, swingy drumming. On the more classical side, you’ve got “H2O,” which opens as a nearly academic exercise in rhythm but quickly veers into a jazzy phase, and “Tatami,” an exercise in futuristic minimalism with a dose of wide-open free improv. 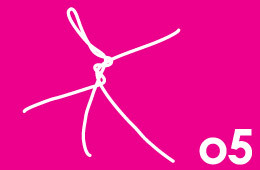 XY and a previous album, Idea F, are available for free download at nusica.org. Nusica is a nonprofit, so a tip or even a CD purchase would be a nice gesture. You can also hear the band on Soundcloud. I like Crenshaw. Like many fans my age, I remember his self-titled album well, but I also own and really enjoy Jaggedland, from 2009. That purchase was the eventual result of being reintroduced to Crenshaw by, of all things, the DKT version of MC5. I happened to catch their tour circa 2004 and had not known, until then, how well Crenshaw can bring it on lead guitar. You also have to like anyone who titles a live album, I’ve Suffered for My Art, Now It’s Your Turn. To give away the surprises in the above video: Crenshaw pulls a Sun Ra album first, followed shortly by the Nels Cline Singers‘ latest, Macroscopic. Lots of rock musicians have tastes much deeper than we get to see, but it’s still fun to find out someone from that sphere enjoys some flavors of creative music. That made my day. To return the favor, I’ve gone and checked out the west-coast jazz of Buddy Collette, another of Crenshaw’s picks.